I have a few good fishing pals who are older than I am. I really enjoy fishing with them. A friend of mine recently returned from a family holiday. It was one of those extended family things where each family within the greater gathering takes a bungalow, and then you get together for meals to argue and create family politics. You know the set up. Anyway, he and his wife were placed with some of the older folk. That is to say, my pal is the right side of fifty, and the “older folk” with whom they shared a bungalow are the wrong side of seventy. His comment on the whole arrangement was “What a pleasure!”. There was banter, but no barbed remarks. There was enthusiasm but no real competition. There was passion but no agenda. No one was practicing one-upmanship, and no one was judging. You had achieved what you had achieved in your life and it didn’t matter. What mattered was that you were there, and you were living in the moment. My January copy of Fly Fishing and Fly Tying arrived yesterday. There is an letter from an Irishman complimenting a recent article about flyfishing being good for your health. The chap continues refering to a very good friend and fishing companion (also an Irishman), who travels alone from his home in Long Island, New York every year to fish his beloved Liffey with his mate. 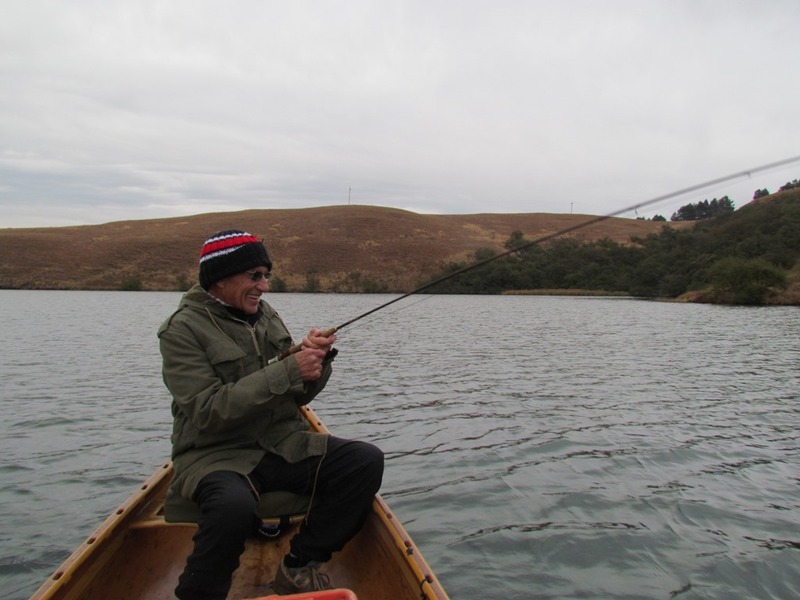 The chap, Tommie O’Shea is 91 years old, “a dry fly fisherman, a Tricos and Caenis master and an expert entomologist, impatient to reach the river and reluctant to leave it, and always keen to ‘draw first blood’”. The letter goes on to say “on our outings we each had our share of fish on#20, #22 flies and 0.12mm to 0.10mm leaders”. He continues saying it is commendable to mentor young fishermen, but don’t ignore the elderly fishermen. Keep them company, bring them fishing, or in this time of “fast everything”, take the time to visit them and listen to them”. He concludes “May we all spend a lot of time fishing and turn the head of wild beauties at 91 and more.” Wonderful, it gives us a lot to look forward to. 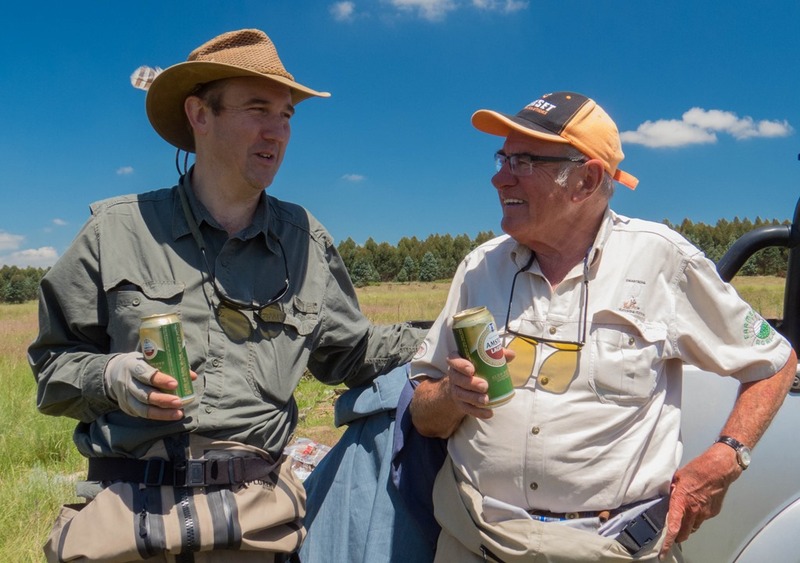 So, unless your flyfishing is some highly driven affair, in which you must know more, go further, stay out longer, and catch more; and in which you cannot bring yourself to drop a few of those: go fishing with some of the older guys. They may be much older, in which case you will be taking them fishing as an act of kindness. Or they may be just a little older, in which case they are just a pal who happens to be older than you. Either way, get your head right. Listen more than you speak. 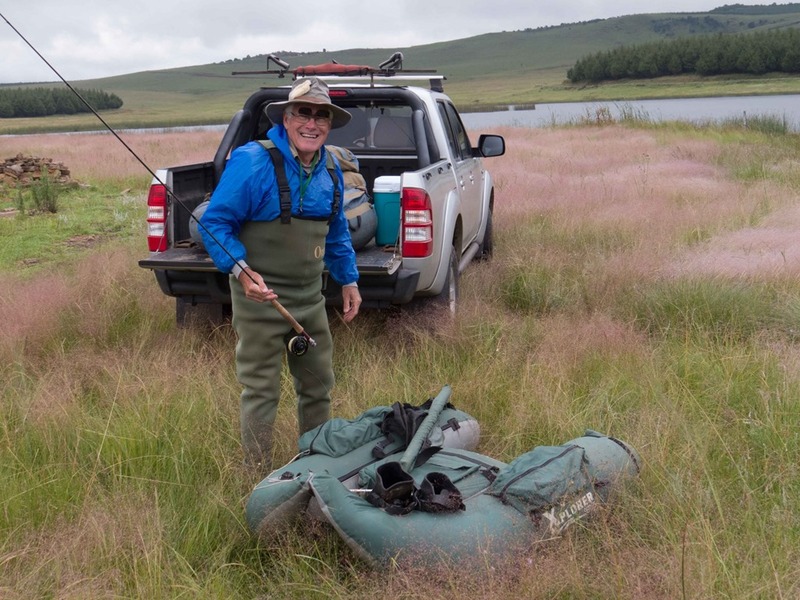 Develop an understanding of where their fly-fishing has come from, and why they do what they do. Explore what they know, and quiz them about tactics, tackle and methods. Look at the similarity of the developments long ago with all the new fangled stuff you see on facebook nowadays and ask yourself how much of it really is new. But more than that perhaps you will re-evaluate what it is about your fishing that is really important. I suspect that you might be prompted to consider that the older guy’s tackle is less complicated. I wouldn’t mind betting he carries fewer flies. He will still sometimes catch more fish than you. When he catches fewer fish, you might notice that it matters less to him than it mattered to you. And when he caught fewer fish I bet he was still enthralled by the day. Lunchtime might have been as enjoyable as the fishing itself. Lunchtime is when friendships are deepened. Its when you think about your fly-fishing relative to what your mates have tried. It is where new ideas are born, in the glow of conversation and in mixing your ideas, with those of others. When those lunch pals have been around a little longer, they have an intrinsic wisdom. They have tried some things, and can tell you if they worked or did not. They will instantly identify an idea of yours that has not been tried and is worth giving a bash. 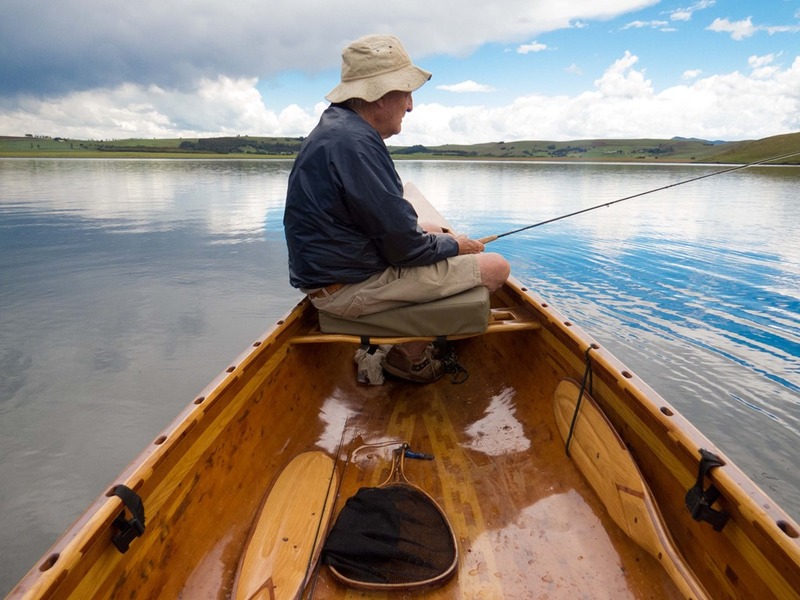 If you fish and interact with an experienced flyfisherman over a day on the water together, you may multiply your hours spent on the water with him, with all of his hours that went before. Such is the value of that day in my book. This entry was posted on January 28, 2015 by trutta. 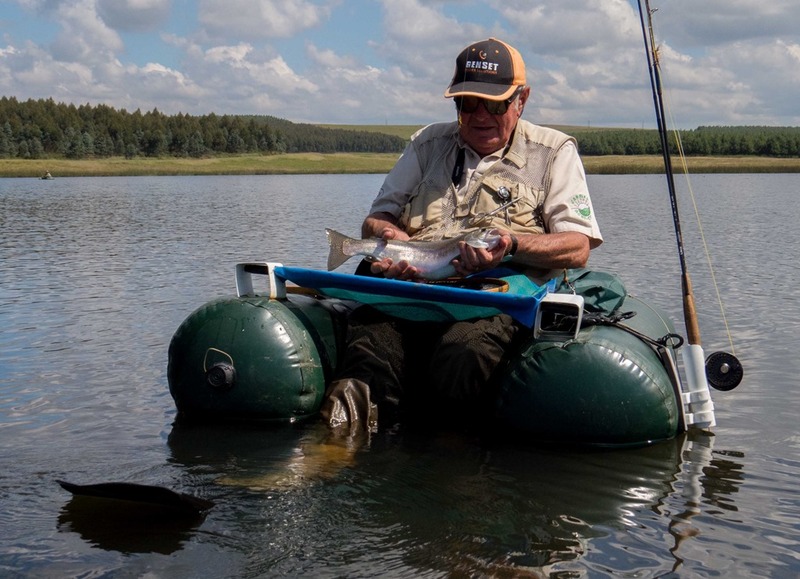 It was filed under Stillwater and was tagged with age, fishing buddies, fishing characters, fishing friendships, fishing history, fishing memories, Jeremy Horne, older flyfishermen, Roger Baert, Roy Ward, Tommy O'Shea, Win Whitear. Lovely, indeed. Pretty boat, too. Thank you for your kind words Isabel. I am glad you enjoyed it. On behalf of those on the wrong side of 65, I thank you Andrew for this wonderful post. I just have to mention that it’s not the younger guys that leave the older codgers at home, but the older guys who just don’t go. I’m packed and ready to go! Good for you Howard! And thank you for your kind words. The boat is quite a story…I posted about it here on Truttablog. I am battling to post the link, but if you use the search bar with the name : “waelcyrge”, you will find the full story.